From San Ignacio we descended rapidly into a completely different kind of country - rice paddies everywhere. 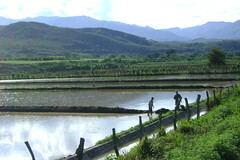 Neither of us had ever seen the cultivation of rice before, so we were amazed to see the effort required to work with the plants at the various parts of their life cycle. It was beautiful, too, but like we had left the high mountains and landed in a south-east Asian area! Here is our route in Peru. Each day has elevation profile, map, and GPS information. We used the trip notes from 2bike.be,(at the bottom of the page) which are quite detailed and very useful. They include total elevation and what shops and hospedajes are found along the way. Also, Pius and Stefan of panamerica.ch have done a great job with more consolidated elevation profiles than we show here. 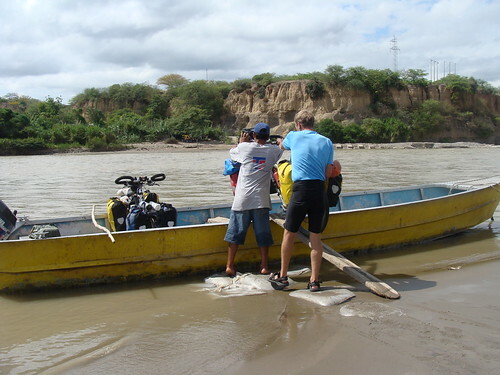 Take a look at their Peru map page and study their route profiles in PDF format. They took our same route from Trujillo to Bolivia. 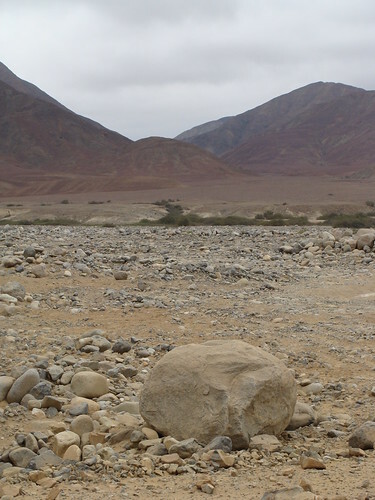 Maps: We used the Rough Guide Map of Peru most of the time, and thought it was pretty decent. ITMB also has a map, and Lima2000 has a pretty decent map that you can get within the country. GPS: The free routeable GPS maps at perut.org have been recommended highly. Also, Guiacalles.com in Lima has a full GPS map for sale. 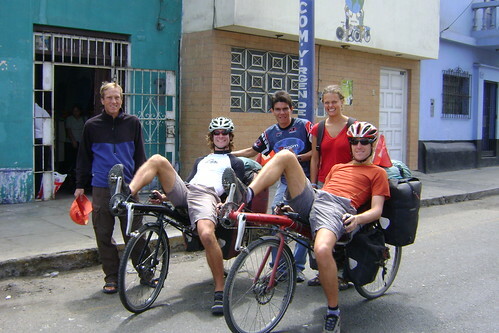 The route we took is difficult and opened only in 2000 or so, so most cycle tourists seem to go the Panamerican Highway from Loja, Ecuador to Trujillo, Peru. This is fairly fast, but they all hate it. On the contrary, we really loved the mountainous way we went, even though it's challenging. 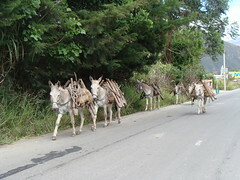 From the border there is a gentle but long climb of 1300 meters and then a descent into San Ignacio. 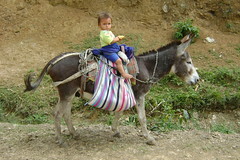 It's mostly downhill then to the valley of the Rio Marañon at just 400 meters of elevation. We took a turnoff and went through Bella Vista instead of staying on the main road through Jaen. 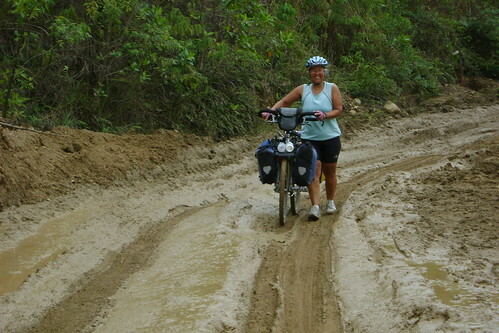 This saved many kilometers and was a pretty pleasant (dirt) road cutoff. We took a small ferry across the river just beyond Bella Vista. After returning to the highway and getting to Bagua Grande, we started the beautiful climb up the Rio Utcubamba to Pedro Ruiz. Because of road construction we had to take a combi from the intersection there to Chachapoyas. Then lovely dirt road to El Tingo (Kuelap) and Leymebamba. From Leymebamba to Celendín is a huge climb and drop to the Rio Marañon again; we did it in a potato truck. Then from Celendín to Cajamarca is one pass - there is pavement on the Cajamarca side. We took a bus from Cajamarca to Trujillo. 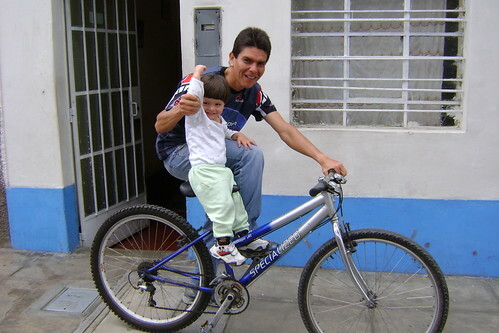 The route from Trujillo to Huancayo is pretty standard (and fairly difficult) for bike tourists. You ride a little ways south on the Pan American Highway to 15km south of Chao, then turn into a private road, climb up to the Cañon del Pato, up to Huaraz, then either through the national park or around the paved road and over a 4700 meter pass, then through several ups and downs until Huánuco. From Huanuco it's pavement up and over Cerro de Pasco then to Huancayo. There´s an excellent elevation profile on panamerica.ch showing this stretch. From Huancayo we took the dirt road through the canyon (Rio Mantaro) for 5 days to Ayacucho. 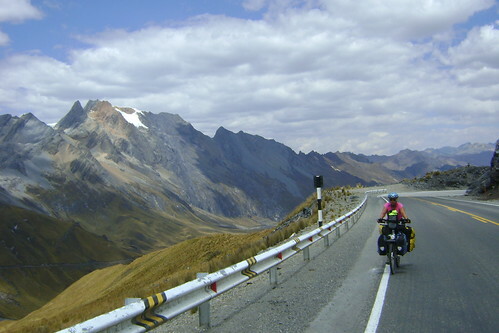 Many people take the partly paved route over a high pass to Huancavelica instead. From Ayacucho we took a bus to Cusco - the dirt road from Ayacucho to Abancay is very difficult, and we were tired. From Cuzco there's just one pass and it's easy, then mostly things are flat to the Bolivian border. All paved, sometimes smooth and sometimes not. Take a look at the excellent elevation profiles for this section on panamerica.ch (only to cusco). People often ask us "Has anyone ever done this before?" or "Are you setting a new Guinness Record?". The answer, of course, is an authoritative NO! We know this, of course, but stopping at the Casa de Ciclistas in Trujillo and looking through the logs makes us really feel humble. We were the 998th entry over 24 years. Plenty of people have been through here! There are slow people and fast, many rides as long as ours, but many much longer. Here are a few links and a few details about some of the folks who have signed their names in the logs at Trujillo. Hans has been bike touring for 46 years, and has visited at least 193 countries. He really HAS set a Guinness record. I don't think we're going to touch his record anytime soon! Dominic started his ride about the same time as we did, and we actually met him for a few moments in Whitehorse, Yukon Territory. But Dominic just finished riding a tandem (most of the time by himself, alone) with gear for himself and a guest, all the way from Alaska to Patagonia. His gear weight was incredible, but his idea was "Take a Seat". He invited anybody who wanted to to come along for a ride for as long as they wanted. He had incredible experiences. 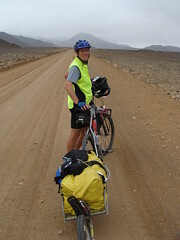 When we came back to Peru I started riding with a Ibex BOB trailer trailer again instead of using panniers as I have for the last few years. It was kind of a return to my roots, since I used a BOB for our first several rides in 2001-2005. So far, I'm happy to be pulling my old friend Bob again. It feels good on the bike. You may not know it, but since the BOB was introduced, US touring cyclists have often raged at each other about its advantages and disadvantages. As one who has used both the pannier system (front and back racks with saddlebags attached to them) and the BOB, a single-wheeled bike trailer, I thought I could weigh in on advantages and disadvantages. I think when you ride with the BOB it's more like riding a bike and less like driving a truck, which is how I feel when riding with panniers. The BOB is a bit easier on the bike, since there's one more wheel to spread out the load. The frame of the bike gets almost no strain (and it can get quite a bit going over bumps with the panniers). The rear axle still gets about half the load, but the frame itself gets almost nothing. My kickstand doesn't work any more! In general, it's just harder to manage the bike+bob configuration when you're off the bike. I think it's easier to manage when you're riding, but harder when you're off. Today we crossed the highest point of our journey so far, and perhaps the highest of the trip. After climbing back up into the Andes (the Cordillera Blanca) for more than a week, we crossed over 15,400 foot (4700 meter) Abra Yana Shalla. 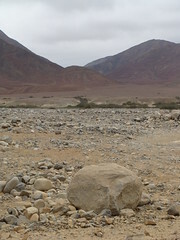 We had been working our way up to this, climbing no more than 1000 meters per day as we got into the really high places. Nancy really felt the altitude in a number of ways, so we were trying to be as careful as possible. But we made the last push this morning up into the barren peaks. We saw lots of beautiful scenery in the last few days and will try to get the pictures uploaded within a few days.